Adventure of a Lifetime – Elisha C.
I officially graduated from University of California, Los Angeles with a double major in Business Economics and Communication Studies! I have a 30 page business plan written and a heart full of dreams and visions. As I close one chapter of my life as a student and open another into the real world, I am in awe of the perfect timing of this vision. I am so grateful that I can step into my adventure of a lifetime right after graduation as a 24 year old. My whole life has been a preparation process for this moment. After going to Haiti for four years, learning Creole and building friendships along the way, I realized I was placed in Haiti long before I knew why. Filled with determination, I headed to Haiti a week and a half after my graduation ready to embark on this journey to make a difference in Haiti. I am going all in. I am not holding back. I only live life once, and I want to make my life count. In this trip, I was humbled to be working closely with Haitian entrepreneurs who welcomed me so warmly into their homes. Magalie Dresse, in the midst of her busy schedule, invited me to her home at the Belgium Consulate. She was preparing for her trip to the States to be the first Haitian to receive the Innovative Social Sustainability award from the Latin Trade Group for her successful business linking local artisans to the international marketplace. She was a great mentor in helping me get started in Haiti by connecting me with the Clinton Foundation, Center for the Facilitation of Investments in Haiti and offering to introduce me to the Ministry of Tourism and Ministry of Agriculture. 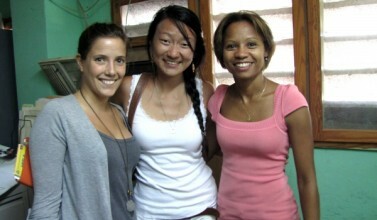 I am so grateful to have met such a powerful woman leader in Haiti and am truly inspired by her entrepreneurial spirit. Christelle Paul, the owner and designer of Atelier Calla was another inspirational Haitian woman entrepreneur, a great mentor, and most of all, a great friend. 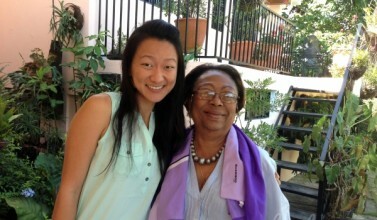 I feel so blessed to know someone like her in Haiti who values true friendship. 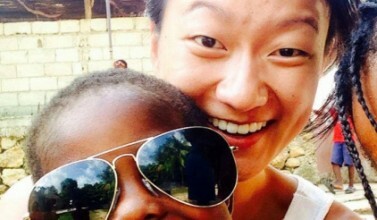 One night, she invited me out to Petionville to enjoy a nice dinner with her family! She is a talented designer, as seen from her sophisticated jewelry and home goods collection. Very excited to share her products in the United States and to the rest of the world! I’ve spent half a year researching all about Haitian coffee but did not expect to find it this quickly! I visited Cafe Selecto coffee roaster in Port-au-Prince, one of the two largest coffee roasters in Haiti. I met with the owners of Cafe Selecto and was able to encourage them with my vision to bring Haitian coffee around the world. They prepared few pounds of coffee samples from raw beans to freshly roasted beans originating from different regions of Haiti for me to take back to the States. 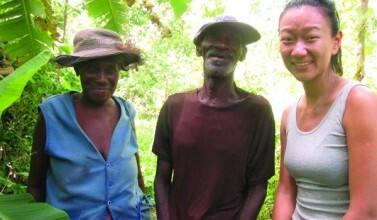 Can’t wait to share Haitian coffee with coffee shops and supermarkets in the United States! It’s time to bring the Haitian coffee back on the market! 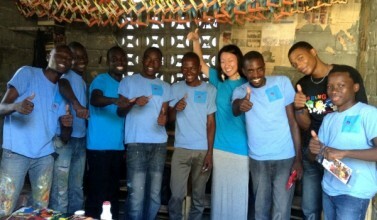 So humbled to be connected with so many great people in Haiti. What a great start to a great vision! 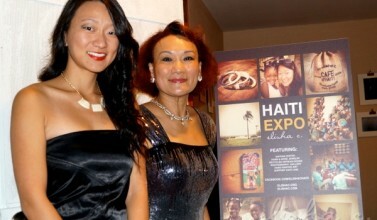 Embarking on a journey of a lifetime for a great cause to bring Haiti out of poverty!